US Soccer announced on December 2, 2015 that they are initiating a Safety Campaign called “R to R” (Recognize to Recover). This is a platform for awareness on Best Practices regarding Injury Prevention. FOR MORE INFORMATION ON RECOGNIZE TO RECOVER. CLICK HERE. 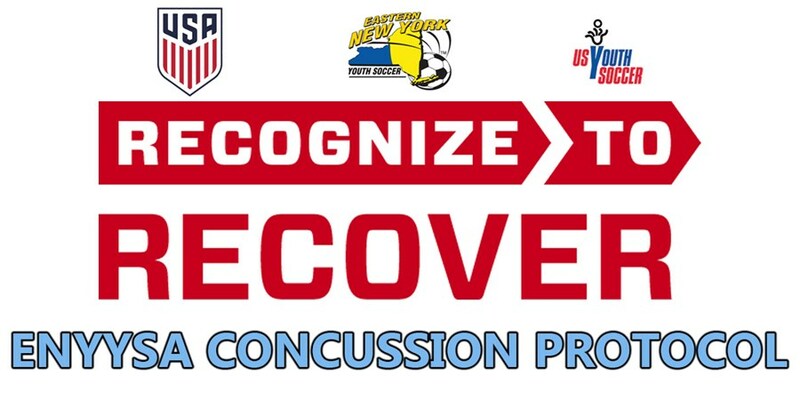 If you run a tournament that is 2 days or more, in length, with more than 64 teams older than Under 10, it is recommended that your tournament have a MD, DO, or Athletic Trainer, who is certified in concussions, available for diagnosis of the player. If a player is suspected of having a concussion, by the referees, team official, or league officials, the player will be withdrawn from the game immediately. That player’s card will be retained by the referee with a notation made on the lineup card. A notification of possible concussion form will be completed. The player’s card will be sent by the tournament director to the league office where the player is registered, along with the notification of possible concussion form, immediately after the tournament. Once the league office receives a medical clearance from a Health Care Professional (MD, DO, or athletic trainer who is certified in concussions) the player pass should be mailed back to the coach via express mail, within 24 hours, with a copy of the correspondence to the parents. If a player is suspected of having a concussion, by the referees, team officials, or league officials, the player will be withdrawn from the game immediately. That player’s card will be retained by the referee. A notation made on the lineup card, and that card and player pass sent to the League office, along with the notification of possible concussion form, immediately after the game. Once the league received a medical clearance from a Health Care Professional (MD, DO, or athletic trainer who is certified in concussions) the player pass should be mailed back to the coach via express mail, on the next business day, with a copy of the correspondence to the parents.